There’s lots of trouble going on in Nicaragua right now, after a seemingly quiet period post-Reagan administration. Like Venezuela, Nicaragua has been squeezed for years and years. No matter how much the U.S. objects, these countries exhibit elements of socialism which have pulled millions of poor people into a better existence. Now, there are riots against cut-backs in social payments and pensions. It has gotten so severe that President Ortega has cancelled those plans in an attempt to bring peace to the streets. But are we witnessing another U.S.-backed “color revolution”? Let me first say I have some second-hand history with the subject. My late friend Ace Hayes, who I worked with publishing “The Portland Free Press” had a great tale about running guns to support the emerging Sandinista revolution. He had a pick-up truck with a camper in which he built hidden panels. In those spaces, he loaded dozens of M-1 rifles and ammunition. Ace had some real guts. He drove that thing from Portland to Nicaragua crossing countless border inspections. He said he got a little worried one time when a boarder guard pounded on the side of the camper. Ace said he could hear the recoil springs (or some similar component) ringing every time the guy pounded the camper. Fortunately for Ace, the guard had no clue what that was. Years later, one of my old school friends, Ben Linder, went down to Nicaragua to help in small rural villages. Ben was a genius, and was in the process of building a small hydro-electric plant to bring electricity to a remote village. Reagan’s CIA-backed Contra mercenaries hunted him down, tortured and killed him. The extent to how he was tracked by the U.S. government is still in question – but we do know that George Bush senior, former CIA director and Vice President at the time – was very aware of Ben. What about Nicaragua is so important that this kind of pressure would come from the U.S.? “Construction of a canal using the San Juan River as an access route to Lake Nicaragua was first proposed in the early colonial era. 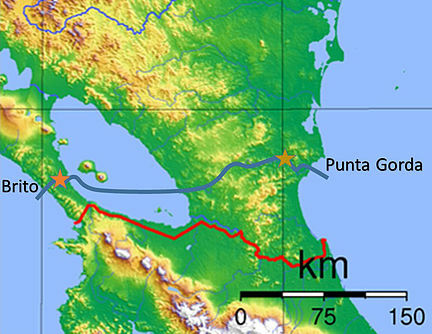 The United States abandoned plans to construct a waterway in Nicaragua in the early 20th century after it purchased the French interests in the Panama Canal. In June 2013, Nicaragua’s National Assembly approved a bill to grant a 50-year concession to finance and manage the project to the private Hong Kong Nicaragua Canal Development Investment Company (HKND Group) headed by Wang Jing, a Chinese billionaire. The concession could have been extended for another 50 years once the waterway was operational. In 2015 media reports suggested the project would be delayed and possibly cancelled because Wang’s personal wealth declined greatly as a result of the 2015–16 Chinese stock market crash. “Major works” such as dredging were to take place after the finishing of a Pacific Ocean wharf, whose construction was planned to start in late 2016. The Nicaraguan government failed to present reliable information about whether or not the project can be financed, thus casting doubt over whether it would be completed. The HKND Group stated that financing would come from debt and equity sales and a potential initial public offering (IPO). Even though the Panama Canal has been upgraded to allow larger ships, a canal through Nicaragua would be a prize for transnational corporations, and may still be planned. Additionally, the U.S. stirring up trouble makes it more difficult for the Chinese to get a foothold in the region. At this point, with the canal project itself stalled out, concerns have turned to the possibility that the Chinese will use the 50-year concessions to begin sister projects that may or may not be associated with the canal. This entry was posted on April 25, 2018 at 6:51 pm and is filed under Hidden History. You can follow any responses to this entry through the RSS 2.0 feed. President Reagan was ignorant of 20th century history of what has been going on in that region. Just as Trump knows nothing about nations and their recent history in the Middle East and in Asia. Who are we kidding, he’s told ‘what is’ by those around him that have agendas, neo-con agendas. Just as the terrorism against Cuba in the early-middle 60’s,with sabotage, so it was with Nicaragua later. The U.S. supported dictators in numerous nations and is a champion liar and hypocrite in foreign affairs. just as Pompeo and now Gina Haspel. Does it take more than a couple minutes of thought to see that they have no conscience? No, they have an incomplete humanity/empathy toward people hurting, suffering. President Kennedy, a good man, said, basically, that, with the CIA’s lies and deception,(I paraphrase) he would like to tear them into a thousand pieces and scatter ’em to the wind. The heads of that agency hated President Kennedy. What kind of humans torture and what kind of humans excuse and/or support torture? Look at Cheney, look at other clowns in the Congress and Senate. Now, when Trump appoints hate filled Bolton and other weirdos to posts in the White House and at agencies, such as Haspel the torture madam, what does that say about American foreign policy and what that shows to the world? Is Dianne Feinstein the only one to speak out against torture?